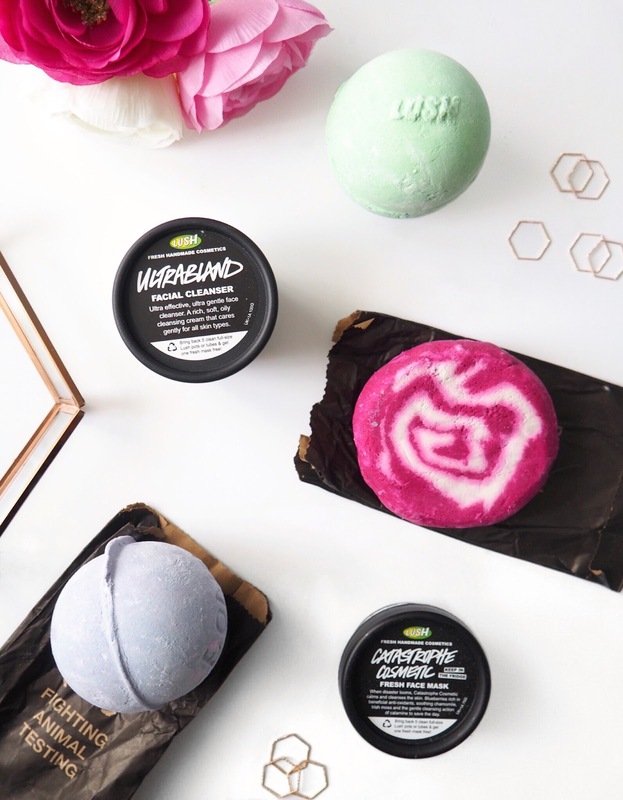 You know the drill, you nip into Lush to pick up one thing and before you know it you’re walking out the door with a bag full of products that you didn’t necessarily need but smelt so good that you couldn’t resist… please tell me I’m not the only one?! Ok phew. The one thing I’d originally gone in to buy was a bath bomb, after the long rather stressful day I’d had all I wanted to do was get home and soak in a pretty coloured bath with a hot chocolate. Now trying to decide which bath bomb to go for was where the haul began, I ended up torn between Blackberry Bath Bomb and Avobath so I decided to get both because why the hell not.. I’m weak. Because two bath bombs obviously isn’t enough I also picked up The Comforter Bubble Bar. For some reason I love the bubble bar version but me and the shower gel version just don’t seem to get on, it’s like showering in cough medicine (what a lovely thought) however the bubble bar I can deal with as they smell different to me. Walking towards the till I went past the skincare section and as I’m almost out of my beloved Emma Hardie Cleansing Balm I thought I’d give one from Lush a go as I get along well with their skincare. After hearing lots of rave reviews about it I picked up the Ultrabland Cleanser. So far I’m liking it, it’s certainly more of an evening cleanser as it’s super thick but I’ll be sure to let you know how I get on with it after I’ve tried it more. The last thing I picked up was a mask, because face masks are an essential part of having a bath! I went for my all time favourite Catastrophe Cosmetic which works wonders for my skin. It’s so calming and leaves my skin feeling really soft and smooth afterwards, this is definitely holy grail status for me. So those are my recent Lush purchases, hope you’re all having a fabulous day!